Kevin Lepage picked up the 14th last-place finish of his NASCAR Nationwide Series career in Saturday’s EnjoyIllinois.com 300 at the Chicagoland Speedway when his #74 The Thirty Days Foundation Dodge fell out with electrical problems after he completed 3 of the race’s 200 laps. 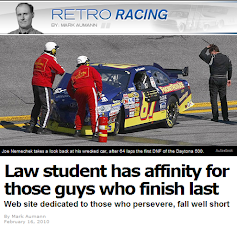 The finish was Lepage’s second of the 2014 season and his first since Road America, four races ago. That day in Road America, the 52-year-old Lepage drove the #93 JGL Racing Dodge, one of four teams he’s raced for this season. In Saturday’s race, the #93 would be driven by owner-driver Mike Harmon for the first time in 2014, leaving Harmon’s #74 open for Lepage to take over. Chicago would be Lepage’s sixth start of the year in Harmon’s equipment, a start that was guaranteed when the 41st entry - the #13 of Carl Long - withdrew before qualifying. 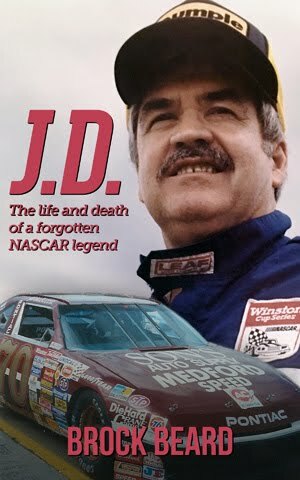 Long was switched into the #72 Crash Claims-R-Us Chevrolet owned by James Carter and was himself guaranteed a starting spot. Lepage did not participate in the weekend’s opening practice session, but turned in a solid 29th-fastest time in Happy Hour, ranking him sixth of the ten teams in the “go-or-go-home” category. He nearly matched the position in qualifying, securing the 32nd spot with a lap of 168.078 mph. The logos of several nonprofit and charitable organizations remained a fixture on the cars of many Nationwide Series teams near the back of the grid. Joining the Supportmilitary.org Foundation on LASTCAR Nationwide Series leader Blake Koch’s #10 and the Support Life cause carried by racer and organ donor advocate Joey Gase, Lepage’s #74 promoted The Thirty Days Foundation, a fund to help some of the many families facing serious financial crises. LASTCAR Truck Series leader Ryan Ellis returned to the #46 The Motorsports Group team this week as Matt DiBenedetto took the controls of TMG’s primary #40. DiBenedetto was off relief driver duty for Jeffrey Earnhardt, who this time was relieved by the un-entered Harrison Rhodes. DiBenedetto started last, but was quickly supplanted by Mike Harmon by the back straightaway. Harmon held the 40th spot for the first two laps before Lepage pulled off the track, followed a lap later by Koch in the #10. Just as Harmon followed Ellis to the garage on Lap 7, smoke billowed from beneath the #54 Monster Energy Toyota entering Turn 3. Sam Hornish, Jr. had qualified 6th, but was sent to the back for unapproved adjustments. 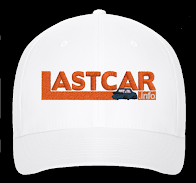 He was rallying through the field when the engine let go, sending him to the garage and bringing out the first caution of the night. His rounding out the Bottom Five was the worst finish by the #54 in 2014 - and just its third finish worse than 5th all season. 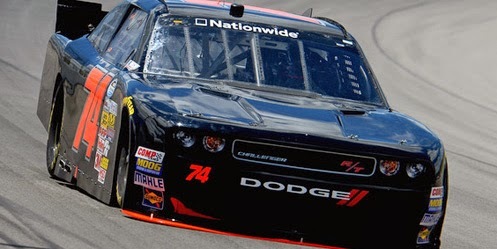 *This was the first last-place finish for the #74 in a Nationwide Series race since June 16, 2012, when Mike Harmon’s own turn in the #74 West Virginia Miners Baseball Chevrolet ended with a vibration after 1 lap of the Alliance Truck Parts 250 at Michigan. It is the number’s first last-place finish in a Nationwide race at Chicago. *This is Lepage’s first last-place finish in a Nationwide Series race at Chicago since July 8, 2006, when his #34 CheapTickets.com Chevrolet owned by Frank Cicci lost the engine after 70 laps of the USG Durock 300. *Dodge had not finished last in a Nationwide Series race at this track since July 9, 2010, when Dennis Setzer’s #92 K-Automotive Motorsports Dodge lost the ignition after 3 laps of the Dollar General 300 Powered by Coca-Cola. UPDATE: This Thursday, July 24, I will be posting both the article for the Truck Series race at Eldora AND a special historical retrospective on the inaugural Brickyard 400 in 1994 from the perspective of one of the 43 drivers who just missed the field. 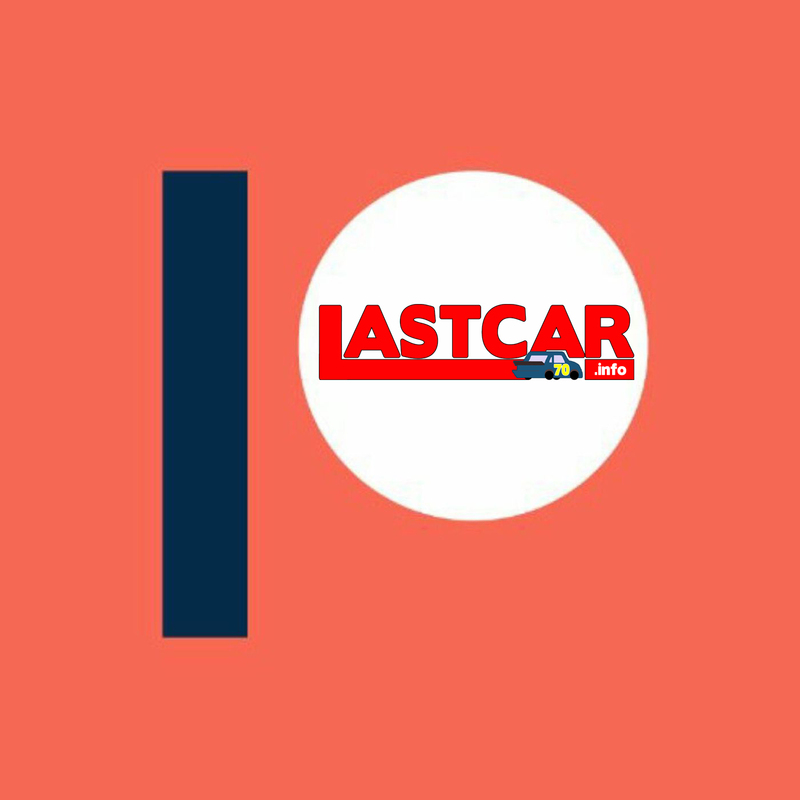 Then, on Monday, July 28, comes the Cup and Nationwide articles for Indianapolis as we start the countdown to the 2014 LASTCAR Championships!